Microwave asparagus according to package directions. Drain well and separate into halves. Put half the asparagus in a 8″ pan sprayed with coconut oil cooking spray. Pour egg whites over asparagus and cook 2 minutes over med heat. 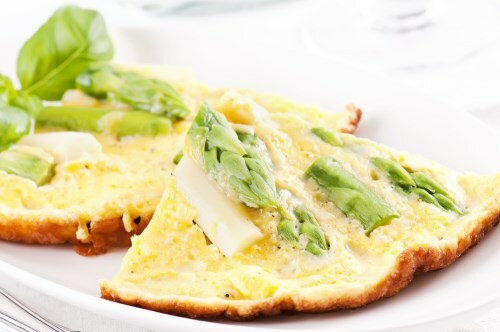 sprinkle with parmesan and broil for 4-5 minutes or until cheese is brown & bubbly and eggs are set. Turn out onto plate & serve!